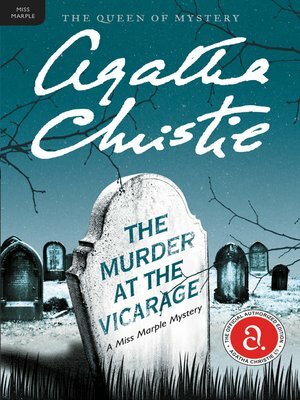 The Murder at the Vicarage is Agatha Christie's first mystery to feature the beloved investigator Miss Marple—as a dead body in a clergyman's study proves to the indomitable sleuth that no place, holy or otherwise, is a sanctuary from homicide. Colonel Protheroe, local magistrate and overbearing land-owner is the most detested man in the village. Everyone—even in the vicar—wishes he were dead. And very soon he is—shot in the head in the vicar's own study. Faced with a surfeit of suspects, only the inscrutable Miss Marple can unravel the tangled web of clues that will lead to the unmasking of the killer.